You could learn to read chart It's easy and after you can read all charts in russian, japonese and french And I must learn english !!! Coasters Pattern on my blog or Pinterest. 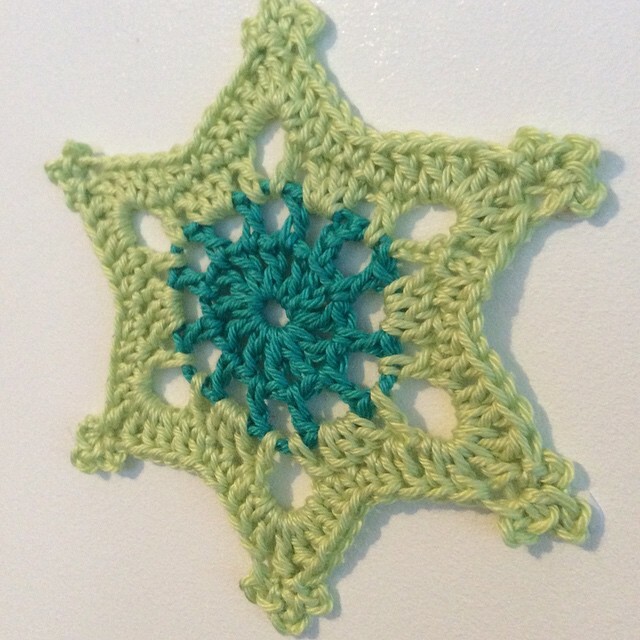 Granny heart Sun coasters Good crochet ! Yes ! It's a really great idea !!! Hi, I finished my first Christmas gift. It's a South Bay Shawlette but I modified it a little I love the pattern and the Drops Kid-silk. Thank you ! / Merci ! Hello ! This is my Christmas tree : Only with grannies. Good crochet !